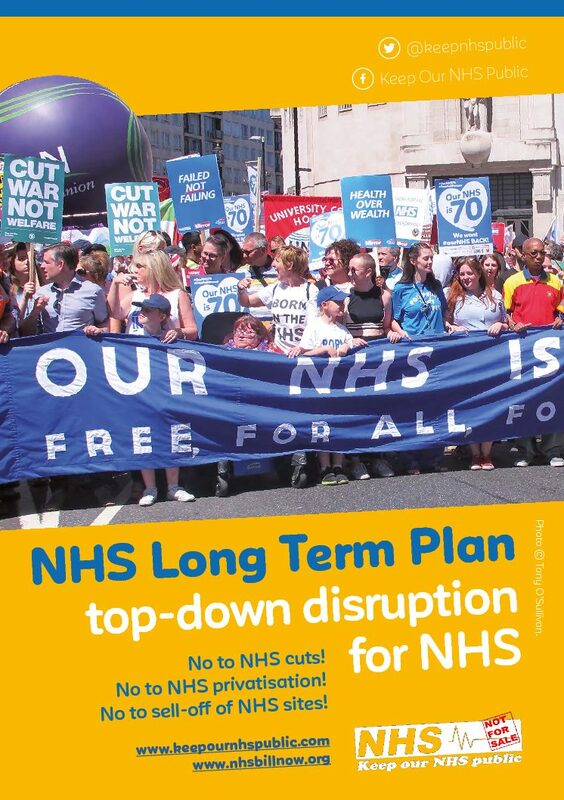 2019 Double-sided leaflet about the government’s long term plan. No to NHS cuts! 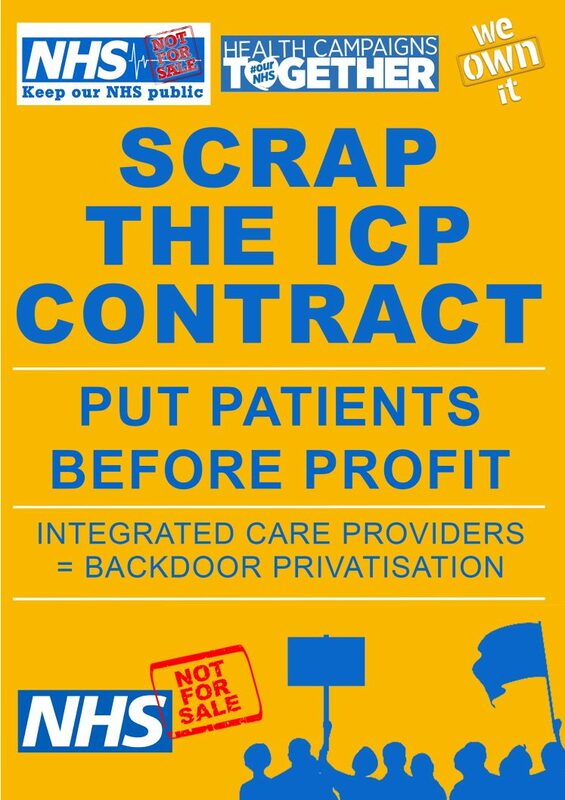 No to NHS Privatisation! No to the sell-off of NHS land!